Yes, you are able to make it! 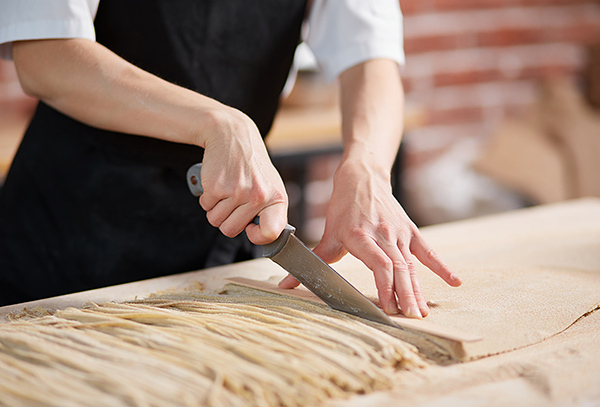 As long as you have a pasta machine, or know how to roll out pasta and cut it, you will be able to make spaghetti or tagliatelle quite easily. If you skip cutting the pasta then it makes great lasagne sheets too. Made easily using a Panasonic bread maker). Add all the ingredients to the bread maker in the order listed above, and place on dough setting. When the machine has finished kneading, remove pasta, leave to rest for a few minutes. Feed through your pasta machine in the shape that you require. Alternatively roll out, cut into strips for tagliatelle or sheets for lasagna. Cook for 3 minutes and serve with your favourite sauce.